This exhibition surveys the history of America's military from the Colonial Era to the conflict in Iraq, exploring how wars have been defining episodes in American history. Through more than 800 artifacts, images, and interactive stations, the exhibition reveals how Americans have fought to establish the nation's independence, determine its borders, shape its values of freedom and opportunity, and define its role in world affairs. It also explores the social impact of America's wars, presenting the link between military conflict and American political leadership, social values, technological innovation, and personal sacrifice. Revolutionary War, featuring George Washington's uniform and commission from Congress as commander in chief of the Continental Army. Wars of Expansion—including the Indian Wars, the Mexican War, and the Spanish-American War—featuring the buckskin coat worn by George Custer while he was stationed at frontier Army posts in the West during the Western Indian War. Civil War, featuring the chairs Civil War generals Lee and Grant used during the surrender ceremony at Appomattox Court House, Virginia. World War I, featuring a doughboy uniform, gas mask, and carrier pigeon Cher Ami. World War II, featuring a Willys Jeep used for transporting troops and supplies. Vietnam War, featuring restored UH-1H Huey Helicopter. Recent conflicts—including the 1991 Gulf War and the wars in Afghanistan and Iraq—featuring Colin Powell's uniform from Operation Desert Storm. 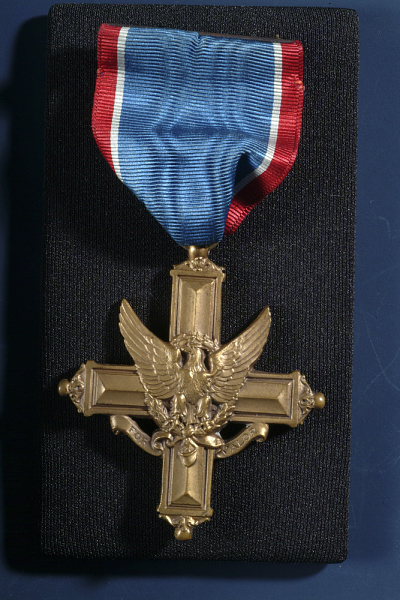 Medal of Honor, featuring videos in which recipients recount their experiences.